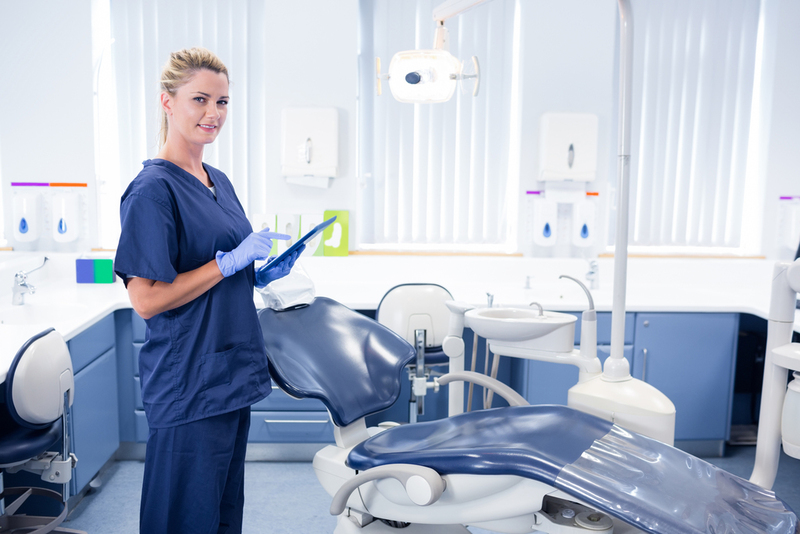 Dental managers and owners invest a great deal of time and money in making sure that their office equipment is well-maintained and up to current standards. But many practices overlook the importance of maintaining an even more important resource: their staff. Don’t fall into the trap of thinking that everyone on your team knows how to do their job, so no additional training is needed. If the only training your team has received was their introductory training when first hired, then your practice is falling behind. There are 3 main reasons why continual staff training is an essential element of long-term success for your practice. Continual training gives staff the knowledge and skills necessary to do their jobs more efficiently and productively. Staff members are more likely to do well in their positions on a day-to-day basis if they are not struggling to complete tasks due to inadequate training. This increases staff confidence, which in turn increases productivity, creating higher profits for the practice. You’ll also find that a more confident and relaxed team will provide better customer service at every part of the patient’s experience—which, through repeat business and referrals, will also increase profits in the long term. Successful practices understand the value of a great staff member and his/her impact on practice growth. Every employee needs to be a productive and integral part of the practice. When team members are shown that they are a valued and vital part of a thriving practice, they feel a sense of ownership and personal responsibility in their daily work. For most people, the most motivating element of a particular job is believing that they are an important part of the team and that their contribution matters to the success of the practice. Giving your staff frequent opportunities to improve their work performance is the best way to encourage this sense of ownership and belonging. It also has the side benefit of maintaining a team atmosphere in which every staff member is understood to be highly valued. Continual training for employees offers a highly educated staff for dental practices. The training helps practices keep qualified individuals for advancement while offering new hires the opportunity to start their job off on the right foot. The doctor or practice administrator doesn’t have to look for qualified staff outside the practice when there is an opening in a higher position with more responsibility. Meanwhile, existing staff continue to build the skills and knowledge needed for additional responsibilities within their positions. The bottom line for your practice is less expense in staffing and hiring. 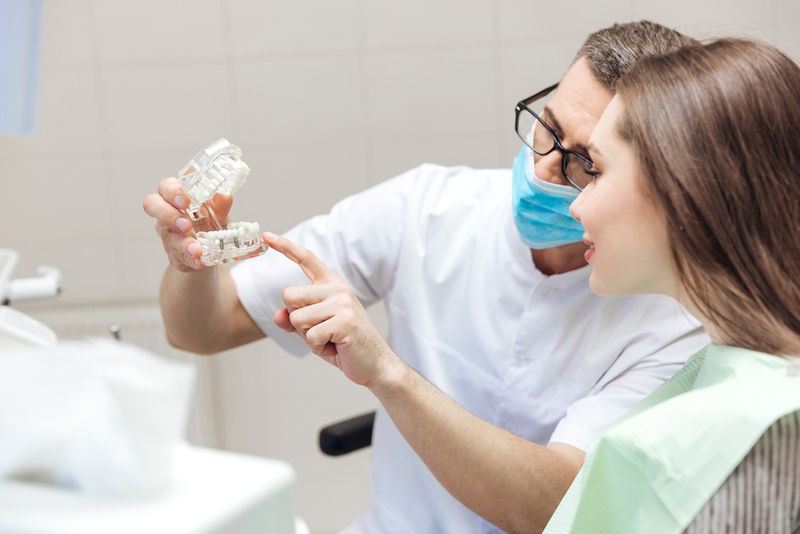 In short, initial and introductory training are only the beginning of a continual and ongoing process of skill-based learning for dental staff. You’ll need to evaluate your staff’s training needs on a routine basis to identify and acknowledge gaps and then find a training program that will help address those gaps. Another consideration is the need for employees to retain newly learned skills through continual training. Just as it’s true that introductory job training isn’t all that’s needed for continued job success, it’s also true that learning new skills doesn’t lead to a good return on investment unless those skills continue to be adjusted for ongoing changes in the industry. We know that new technology and products can help dentists be more productive in the operatory; in the same way, new ideas and products to help the front office are always changing as well. Ideas and skills that were used in the past may not be as efficient and productive as what is available today. Virtual training is the most efficient and least costly way to train staff members. When training is offered online, the practice does not have to interrupt the work of a productive employee in order to train someone else. Even better, with virtual training, multiple staff can be trained at one time. It also offers consistency of training across the team to make sure each person is trained in the same way with the same information. As a practice whose staff is engaged in continual learning, you’ll enjoy a competitive advantage over the majority of other dental offices in your community.